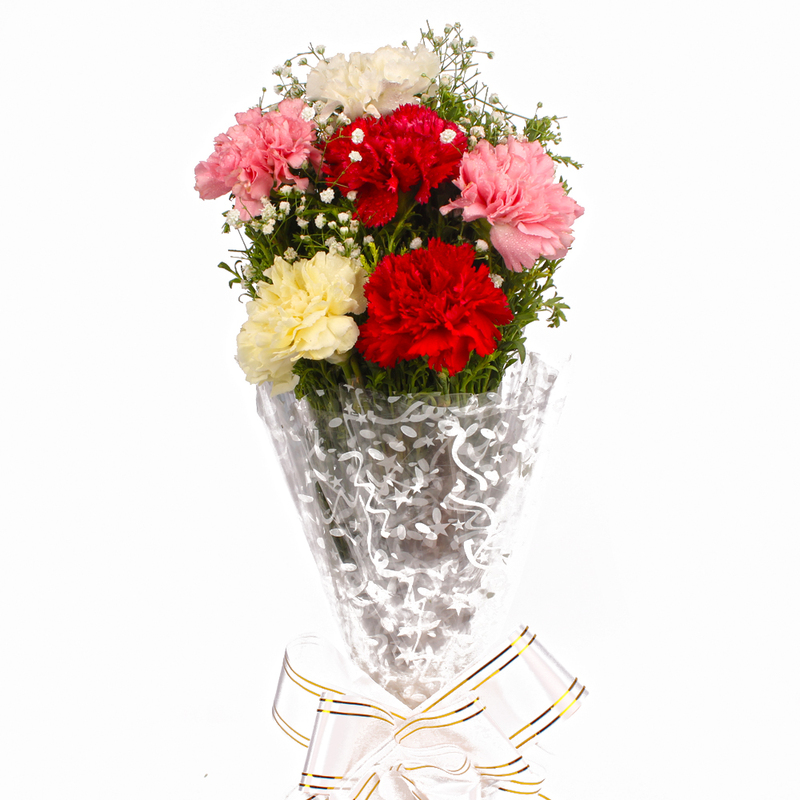 Product Consist : 6 Mix Color Carnations with green fillers in Cellophane Wrapping with Ribbon Bow on it. 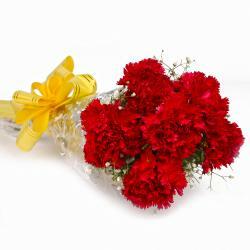 Express your emotions with this bunch of six colorful carnations. Flowers have hidden meanings as per their color and number. 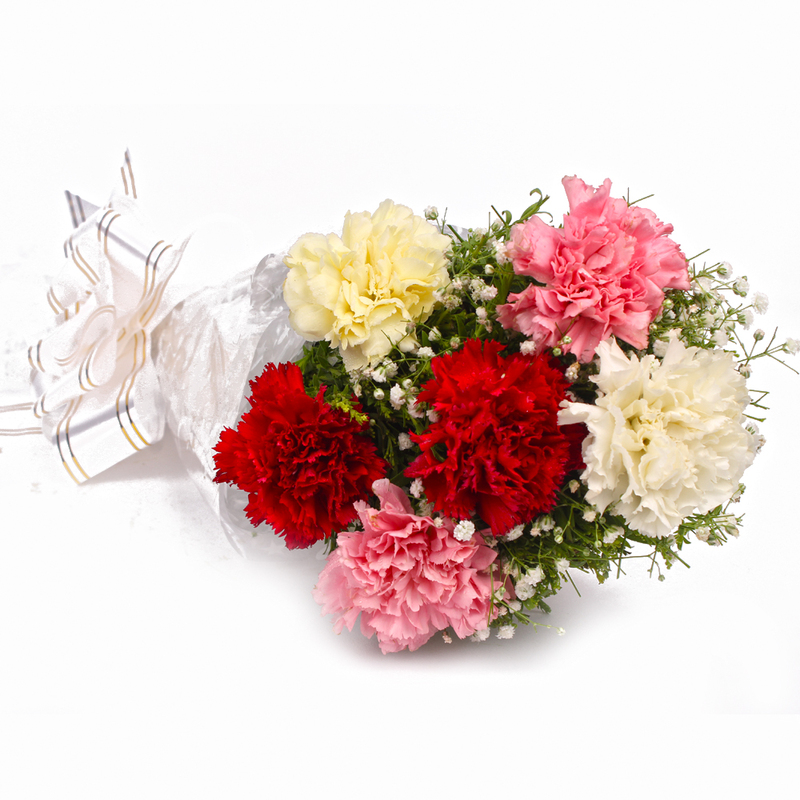 This 6 Colorful Carnations has white fillers on this bunch add more beauty on it. 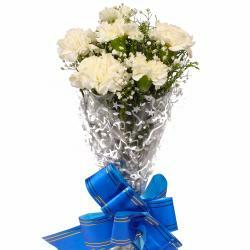 This bunch is beautifully wrapped in cellophane and tied with ribbon. Flowers have the ability to refresh mood. You can cheers on occasion such as Birthday, Anniversary, Corporate Gifting, Dhanteras, Eid-Al-Adha, Independence Day. 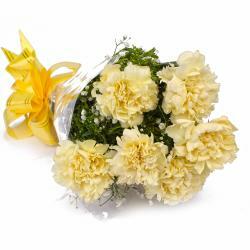 So go ahead, delight your dear ones with this adorable Carnations Bunch. 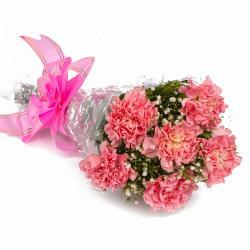 Product contains : 6 Mix Color Carnations with green fillers in Cellophane Wrapping with Ribbon Bow on it.